This entry was posted on February 14, 2010 at 12:01 am and is filed under Politics. You can follow any responses to this entry through the RSS 2.0 feed. You can leave a response, or trackback from your own site. I am certainly glad someone else noticed that Sarah was the most enlightened moment of the tea party meeting. The remainder was purely devoted to bashing the administration for bashing’s sake. Can’t they just get over the fact that they lost the election. It is not the end of the world. 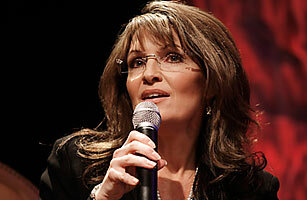 I have no problems with Sarah using her hand, but she has been giving the same speech for two years now, come on. Even high school debate teams learn that it is alright to use index cards. Ethical standards are difficult to find today. Ethics are absent from discussions, especially political ones. No one really wants to be ethical. People want to win. Even if it means compromising the standards of civil discourse. Do not misunderstand me. I have reservations about medical care I wonder how many tea party attenders have ever been denied care from insurance companies. I also wonder how some insurance executives can sleep at night. Insurance policy is to deny long enough to exhaust the claimant by paperwork or civil suits. Those with deep pockets can afford to hire $600 an hour lawyers. Insurance coverage, coverage you paid for, should be honored. That would be the ethical thing. It all comes down to money.